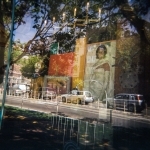 Ari Salomon will participate in a one-night-only slideshow event at the Annenberg Space for Photography in Los Angeles. The event is free but requires registration. BAPC Members Adrienne Defendi, Erin Malone, John Martin and Ari Salomon will participate in the 19th Annual Artists Warehouse Sale at Fort Mason. Artwork from artists priced up to 75% off. Prints and framed work will be available. Preview Wednesday, May 9, 2012 6:00 p.m. – 9:00 p.m.